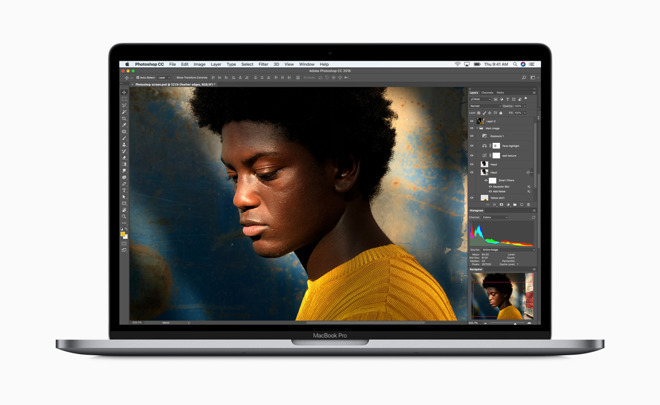 Performance issues affecting Apple's latest 2018 MacBook Pros discovered over the past week have been identified as a software flaw in the system's thermal management software, and Apple is rolling out a macOS patch to deal with the problem. "Following extensive performance testing under numerous workloads, we've identified that there is a missing digital key in the firmware that impacts the thermal management system and could drive clock speeds down under heavy thermal loads on the new MacBook Pro," noted an Apple spokesperson. "A bug fix is included in today's macOS High Sierra 10.13.6 Supplemental Update and is recommended." "We apologize to any customer who has experienced less than optimal performance on their new systems," Apple added. "Customers can expect the new 15-inch MacBook Pro to be up to 70 percent faster, and the 13-inch MacBook Pro with Touch Bar to be up to [two times] faster, as shown in the performance results on our website." The macOS High Sierra 10.13.6 Supplemental Update is billed as a "stability and reliability" update, and is recommended for all users, including both 13-inch and 15-inch models with Touch Bar, incorporating Intel's 8th Generation "Coffee Lake" Core i5, i7 or i9 processors. New MacBook Pro users will need to manually select and install the update from the Mac App Store. Apple's initial performance claims for the new MacBook Pro models did not appear to reflect any impact from the bug. The problem was reported by YouTube videographer Dave Lee last Tuesday, and confirmed in testing done by AppleInsider. It was initially suspected to affect new models with a Core i9 chip, likely because that model is clocked highest and can be driven to a higher temperature fastest. For many users, the problem didn't show up at all. Despite widespread assumptions that Apple had failed to design adequate cooling for the new generation of Intel processors, or was even intentionally throttling the performance of its new Pro gear to prevent overheating, the real issue was simply a software error that only revealed itself in specific, heavy and sustained workloads. Without the fix, the new machines could turn in benchmark results that were worse than the previous models they replaced, unless the machines are externally cooled beyond what the Apple-engineered solution could provide. After installing the fix, the new machines should consistently reflect Apple's originally published performance specifications, which presents the latest generation of Intel processors running significantly faster than the models they replaced. AppleInsider will continue testing the matter.